"Eight years on, a new terrorist leader, Bane, overwhelms Gotham's finest, and the Dark Knight resurfaces to protect a city that has branded him an enemy." After running out of time last weekend because I'd completely underestimated the length of the last two "Batman" films, it took me another four days before I got chance to see the final part of the trilogy. Although it was unfortunate that I couldn't watch them all back to back as I'd intended, at least the break allowed me some time to reflect on what I'd seen, what I'd hated, and what I hoped would improve in "The Dark Knight Rises". I'm the first to admit that I know nothing about Bane. I think he was a minor character in one of the Joel Schumacher "Batman" movies, but I have no idea which one (although it's likely to be the one I didn't review, "Batman & Robin"). All the fanboys were going wild over this character, but I wasn't all that impressed by some fat Scottish bloke in a mask. Wasn't he supposed to be a Mexican in the comic books who had some superpowers from a potion injected into him? I also wasn't impressed by the amount of lag in "The Dark Knight Rises". The story really dragged, pacing was ludicrous, and, when something important happened, it was rushed. This is a bit spoilery, but, seriously, can a broken spine be cured by punching the vertebrae back in and hanging from a rope for a couple of minutes? Wasn't there enough time to do it properly in a film nearly three hours long? 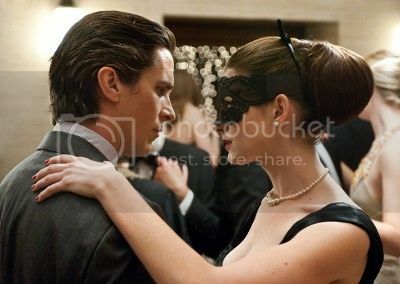 Of course, I only wanted to see "The Dark Knight Rises" for the new Catwoman as played by Anne Hathaway. The Sunmaid Raisins girl was definitely pretty enough for the role, but she didn't exactly light up the screen with her presence. Selina Kyle wasn't even referred to as "Catwoman" and, more disappointingly, she had no cats either. Oh, but she was a "cat burglar" to make up for it. Big hairy deal. I did like the few moments that Bruce Wayne shared with Selina, but there wasn't any chemistry there or the sexiness of Michelle Pfeiffer's equivalent even when she was at her most nerdy. This "catwoman" was just a little bit too cynical and misanthropic for her own good. The guy who played Tosh in "Torchwood" (and was in one episode of "Eastenders" with Phil Daniels) was in this too but I barely recognised him. I didn't recognise Tom Conti at all as the prisoner who helped Bruce Wayne until I looked up the cast list. I suppose that's to their credit as both were cast slightly against type. The casting has always sucked in Christopher Nolan's "Batman" movies though. For some reason, he loves Cillian Murphy almost as much as aerial photography and making Batman stand on the edge of really tall buildings for no reason. Why was Cillian Murphy even in this? Was it just so he could rework that 50 year old joke about "death by ungabunga" into what should have been a more serious moment? Pretty lame stuff. With both Commissioner Gordon and Batman out of the main spectacles of SWAT teams and more police running around than were entirely necessary, this was all about the previously mentioned Bane and his antics. What was he meant to be? A hybrid of Darth Vader, the "Predator" alien and a Teletubby? I've seen fake wrestlers on Saturday afternoon TV in better shape. A really ridiculous moment (which stood out even more than Alfred's 180 degree turn into character inconsistency) was when Batman and Bane were fighting and they were knocking lumps of concrete out of buildings with their punches. All it needed was some onscreen "Kapow!" and "Biff!" balloons. I won't spoil the ending for you too much, but be prepared for it to come at you completely out of left field just like "Kill Bill" with an unhealthy dollop of "Armageddon" thrown in. There's a third film which the ending borrows even more from, but I won't name it. Well, that's my review of "The Dark Knight Rises" over just like the franchise. I honestly wanted this to be the best "Batman" movie ever to make up for the other two and prove to me that Christopher Nolan wasn't just a hack, but it was very disappointing. I don't particularly like superhero movies or reviewing anything outside of the horror genre, but I started doing this because everyone else was. No, I wouldn't jump off a bridge if they did, but I thought they had found some treasure which I hadn't. I was misled. 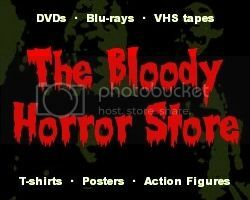 My genre of choice will always be horror, that's what I know most about, and that's what still interests me. As long as Christopher Nolan keeps away from my favourite genre, everything will be fine.